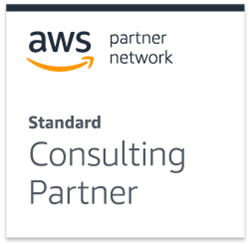 Codero Holdings, Inc. (Codero), a leader in managed hosting services and technology enablement, today announced that it has joined the Amazon Web Services (AWS) Partner Network as a Standard Consulting Partner and Channel Reseller. AWS is a leading force for the IT industry, providing a flexible and affordable route to the cloud for organizations of all sizes. Managing AWS to maximize the benefits of using the platform for specific needs can be a challenge for companies who do not have in-house AWS expertise. With its many years of demonstrated expertise in hosting cloud solutions and its AWS-certified team members, Codero is well-positioned to help guide customers and ease their transition to AWS. Codero is a managed hosting and technology enabler that facilitates the adoption and use of advanced and custom cloud solutions. A provider of managed, dedicated, and hybrid multi-cloud services, backed by exceptional customer service, Codero serves over 3,500 customers worldwide. Codero offers a portfolio of custom hosting and technology solutions focused on the specific needs of small and medium businesses and community anchor institutions. Codero helps customers and partners live and thrive in the cloud. Learn more about Codero at http://www.codero.com.